Well produced, catchy pop melodies, well-conceived lyrics, smooth vocals. "Neo Retro" - recorded in 1980 but not released until 2008. Most of Craig's time in the music business has been spent in recording studios in Denver, L.A. and Nashville as a studio singer, guitarist, pianist, writer, producer, arranger and engineer. Craig worked and performed on other artists' recordings (including a gold album and gold single on EMI Australia) but mostly made his living doing radio & television commercials, some of which were released as records (one of them resulted in a Billboard Hot Country 100 single "I Believe He's Gonna Drive That Rig To Glory" done for White Freight-liners). You may have heard his voice or work in connection with advertisements for AT&T, Coors, Denver Nuggets, Frontier Airlines and hundreds of others. 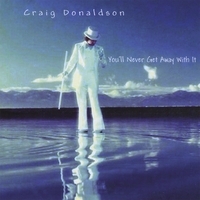 Craig has occasionally performed live including with L.A. based artists Dan McCorison and Richard Marx and with Denver based bands LixDeLux and acoustic duo Cable & Donaldson (John Cable, formerly with the Nitty Gritty Dirt Band). Craig makes his home in the foothills just west of Denver. What a beautiful voice! This artist is wide-ranging talented. The CD is a great collection of upbeat songs and smooth ballads both performed with breathtaking skill and euphoric beauty. After one song is over, I'm excited to hear the next one. When the CD is over, I start it all over again! What a talent! Original and heartfelt. Years of experience in music and years of experience in life. Both combinations are not often seen or heard in the industry these days. Definatly music left on repeat and played loud for all the neighbors to hear.